New Salem Office Volunteers are the frontline smiles for the church. Those who serve in this position greet guests and provide coverage for the front desk. 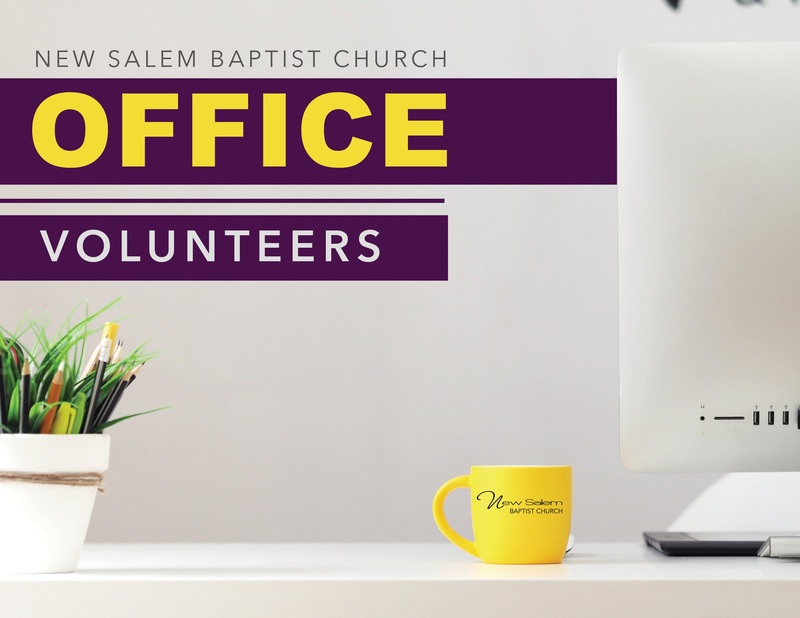 If you are interested in serving as an Office Volunteer, please contact Sis. Mia Brown at mbrown@newsalemcares.com or (614) 930-2233. We are a growing and relevant community oriented church, with global impact through inspiring worship, holistic ministry and effective discipleship. View our upcoming events and activities. Copyright © 2019 New Salem Baptist Church. All Rights Reserved.